An electronic collection of historic United States Department of Agriculture (USDA) publications related to organic agriculture. In this collection, there are almost 200 documents published before 1942 (before synthetic chemicals became widely used) that contain state-of-the-art information and data that is still very pertinent for today’s agriculture. Access to this data is intended to provide growers with new ideas on crop production without chemicals. Organic farming is breathing new life into agriculture and rural communities. CROPP Cooperative can be your organic resource and guide your every step along the path to organic production. Founded in 1988, CROPP is the nation’s largest and most successful organic farmer cooperative. Its success is due to its commitment to its farmer owners, to supply management, and to a fair and stable pay price. The Organic Trader is a classified ad newsletter for all organic farmers. to reach more than 1,700 interested readers. for traditional crops, and crops grown for industrial production. A nonprofit educational organization that promotes ecologically sound agriculture. Here you’ll find an online collection of existing resources for anyone exploring how to go organic including The Pathway for Producers, where the steps toward making the transition to organic are made clear and informative and The Pathway for Processors, where new or existing processors can learn what it takes to become certified organic. The International Federation of Organic Agriculture Movements (IFOAM) represents the worldwide movement of organic agriculture and provides a platform for global exchange and cooperation. “Our mission is to help agriculture make the transition to a sustainable organic system of farming that is ecologically sound, economically viable, and socially just, through information, education, research, and integrating the broader community into this effort.” MOSES provides organic agriculture training to Agricultural Professionals in Iowa, Minnesota and Wisconsin. For more information, go to our Agricultural Professionals page. The Minnesota Institute for Sustainable Agriculture (MISA) is a unique partnership between the College of Agricultural, Food, and Environmental Sciences at the University of Minnesota and the Sustainers’ Coalition, a group of individuals and non-profit organizations. The purpose of MISA is to bring together the diverse interests of the agricultural community with interests from across the University community in a cooperative effort to develop and promote sustainable agriculture in Minnesota and beyond. 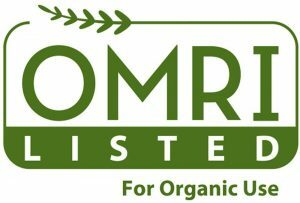 OFRF’s mission: to sponsor research related to organic farming practices, to disseminate research results to organic farmers and to growers interested in adopting organic production systems, to educate the public and decision-makers about organic farming issues. This online magazine from the Rodale Institute is updated regularly with current articles and production information as well as profiles of farmers. It also includes links to other relevant sites. Clear guidance through all aspects of transition including going through the certification process. Galileo and Darwin were not the only great contributors to science who died before being widely recognized. As the German philosopher Arthur Schopenhauer (1788-1860) said: “All truth passes through three stages. First, it is ridiculed. Second, it is violently opposed. Third, it is accepted as being self-evident.” Professor Gilles Lemieux, the father of pedogenesis applied to agriculture, was also relatively unknown during his lifetime. His passing on April 29, 2009, has not garnered much attention in the agricultural or forestry world, even in Quebec, where RCW research originated. Humanity owes a lot to Professor Lemieux. He defined and explained the evolution of fertile soil, one of the major elements on this planet – but also the least understood and least respected. He opened a new field of exploration of our soils: that of pedogenesis applied to agriculture. He created new words, such as “ramial wood” for the small tree branches at the root of soil fertility. These branches were previously seen as trash and were burned or buried all around the world. Prof. Lemieux’s rigor, tenacity and perseverance established the basis for this new science. He deserved a Nobel Prize for his work. For Canadians, his contribution compares with that of geographer Louis-Edmond Hamelin for his work on the northern hemisphere. Small biological processes, whether fungal, vegetal, mineral or animal, are the essence of balanced terrestrial ecosystems. All the veins where precious water percolates enable life on this planet. Agricultural soil is the energy of the sun and water stored in the deciduous forests over millennia. The soil has a vital heritage and is fragile and alive where the leafy forest is essential to its fertility and to the welfare of all living beings. Thank you, Professor Lemieux, for enlarging our awareness of the value of fertile soil. Pedogenesis – the whole, natural process (including effects of organisms) of creating and maintaining lignin, polyphenols, sugars, etc. Pedogenesis creates soils that can supply the nutrients necessary for plant growth and can maintain hypogeous and epigeous biological balances. Polyphenols – compounds derived from phenol and formed of benzene rings and hydroxyl groups. Ramial wood – twigs less than 3 inches in diameter and coming from deciduous trees. Deciduous – trees that drop all their leaves every fall. Ecosystem – a biological system allowing beings of different levels to live in harmony in more or less closed cycles.